In April, we geared up for the ultimate move (and hopefully our last move for quite some time… I am not packing’s #1 fan) to our Vermont homestead, which inflated our expenses quite a bit. Although we’re now a family of three humans and one hound, most of our new expenses this year are related to the acquisition of our property and not to the acquisition of our baby! If anything, Babywoods is proving herself to be the cheapest new life event on our roster (curious how we baby-rear so frugally? check out this post and this one too). As you might’ve surmised, the expenses I share in our monthly expense reports exclude the majority of our homestead start-up costs. In order to keep everything as straightforward (and entertaining) as possible, I’ve decided to dedicate a separate post to detailing these specifically homestead-related expenses; which include, for example, our used chainsaw among other sundry supplies. The category of home improvement–all of which is for our Cambridge house–accounts for a good deal of our line items lately as we prepare this place for rental. Mr. Frugalwoods and I want to future proof the home (to the extent possible) for our tenants in the hopes that they won’t incur too many repair needs during their tenancy. I’ll illustrate all the fixes we’ve done in a separate post, but suffice it to say, we hope it’s money well spent! We also hit up Costco twice in April–as opposed to our customary single jaunt–as we wanted to stock up on a few essentials (dog food!) prior to our decampment north. Plus, we purchased all new 10-year lithium-battery smoke and carbon monoxide detectors for our Cambridge home–again, we want this place in top shape for our tenants. April is, of course, the month when taxes come due and so we paid our state and federal taxes as well as a small amount for TaxAct (online tax prep software). Gasoline was also rather high this month in light of our frequent road trips to Vermont. I am seriously looking forward to getting settled up there–I’m not a ‘weekend house’ kind of gal–all this driving back and forth (especially with Frugal Hound and Babywoods in the back seat) is not my cup of tea. 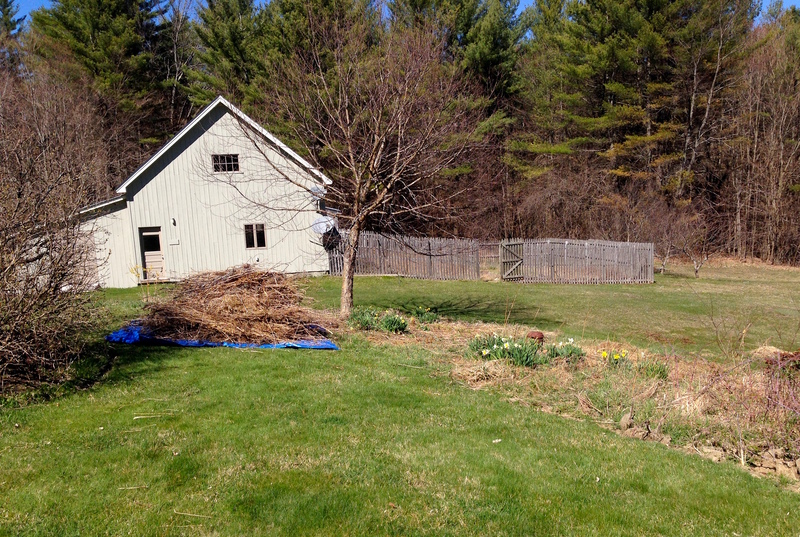 The incredible upsides of spending weekends in Vermont, however, are the wonderful people we’re getting to know in our community and the time we’ve devoted to cleaning up our garden beds, digging out culverts, clearing trails, and pruning fruit trees! In the arena of our move itself–we hath incurred an unavoidable charge: packing tape! I’ve sourced all of our boxes and packing paper/bubble wrap for free by taking hand-me-downs, but, it’s rather impossible to reuse packing tape (I actually tried and, uh, poor results). In light of this adhesive-related need, we had to hit up the old Amazon.com. Fortunately we have our handy-dandy tape gun from our previous moves, and let me tell you, that thing is worth its weight in gold. Actual gold I tell you. Especially since I’m packing while simultaneously entertaining Babywoods. Do you know how many words rhyme with pack? And do you know how many baby-engaging songs you can make up about packing? The answer is a lot. A great lot. Brace Yourselves: We Went Out To Eat!!!! In what will come as shocking news to regular readers, we–on a whim–decided to go out to eat for lunch one day. 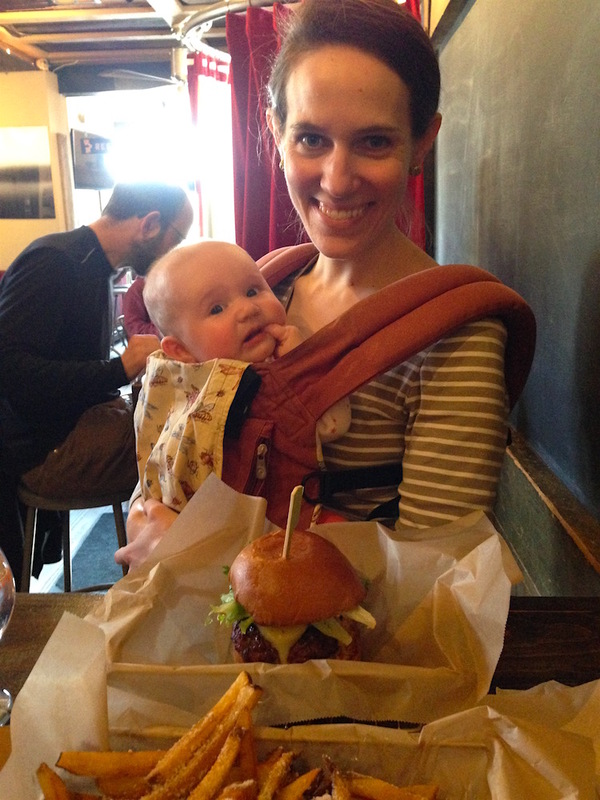 Vermonters (and Vermont-adjacent folk) will be excited to hear it was our inaugural trip to Worthy Burger, which is VERY worthy in our estimation. Absolutely delicious. A delightful and rare delicacy for us frugal weirdos who only eat out a few times a year. For this treat, we carefully selected a restaurant that’s local, highly reviewed, and special–no reason to waste money on a meal at a trite chain restaurant or for a subpar sandwich. When we do go out, it’s for something supremely yummy. And these burgers, fries, and beer were worth every penny! Babywoods got to enjoy her first visit to a restaurant (not that she actually ate anything, although I did drop some ketchup on her head) and Mr. FW and I were reminded of the joy that comes when something like a restaurant meal is a rare pleasure and not an everyday (or every week or every month) occurrence. It’s refreshing to relish the little things in life. MA State Tax $473.00 What we owed on our state taxes. Groceries $415.78 Wooo dogs, this was a pricey month! We prefer to spend in the realm of $300-$350 on groceries and I attribute this higher amount to the fact that we’ve stocked our Vermont kitchen with non-perishable essentials. I forgot we’d previously taken coffee, for example, so we now have a 6 month supply of coffee in our VT freezer… hey, that is one thing I do NOT want to run out of. Household Goods $380.57 A mega month as we went to Costco twice in anticipation of our move, and purchased all new smoke and carbon monoxide detectors for the Cambridge house along with things like lightbulbs and dog food for Vermont. Federal Tax $91.00 What we owed on our federal taxes. Gasoline $86.83 Higher due to our many treks to and fro Vermont. Looking forward to being settled in VT and not commuting! Doctor $65.00 Both Babywoods and I had doctor’s appointments this month. Home Improvement Supplies $61.88 Various supplies for our sundry home improvment/tenant prep projects at the Cambridge house. Auto Repair $50.00 We got our snow tires taken off along with an oil change. Restaurant Meal $40.96 Our very scrumptious restaurant meal at Worthy Burger in Vermont. Packing Tape $33.48 Ahh yes, the packing tape! The better to pack boxes with, my dear! Laundromat $11.00 I took our comforter and large coats to the laundromat for my traditional spring cleaning of “stuff that’s too large to fit in our home washing machine.” Sidenote: laundromats are ridiculously expensive!! Tolls (via our EZPass) $11.00 Added funds to our interstate toll EZPass. Oh it is so worthy! Great post thank you. I am moving too and will take a leaf out of your book and look for used supplies (sans tape). I’m still curious how your expenses are so low, however. Are you furnishing your new (larger) home? Even used furniture costs something. Also, what about home/auto/life/ disability insurance? I highly recommend now that you have beautiful baby woods. Do you guys plan to contribute to 529s? Are you keeping the same automobile with the harsher winters and baby in tow? I recall my prior frugal lifestyle had to be modified once I had children. Great questions! So we’re just taking the furniture we currently own for our new home. We’ll see how everything shakes out after we move in, but we don’t have immediate plans to buy more furniture–we prefer the less cluttered look, so we’re fine with some empty space :). Our car insurance is paid once every 6 months and so the expense for that shows up only in the months it comes due. Our home insurance is paid through our mortgage. We’re not planning on doing a 529 at present because we save at such a high rate and we don’t think a 529 offers that great of a benefit (it constrains the money later on since it must be used so specifically–we just don’t see a compelling value proposition). I guess I should probably write a post about that at some point :)! I agree with you about the 529 and savings in general that can only be used for one type of thing. My husband and I come from a long line of entrepreneurs and have never assumed our kids will go to college or must do so to be successful. They might, however, and we have ample savings and a frugal lifestyle…it will be no trouble to send them without a 529. Especially since they will be expected to work throughout. ???? There is much more to be gained from savings that can be used as we wish. Well said. That’s pretty much exactly how we feel. Worthy Burger is the best. Worthy Kitchen is also worth a trip next time you’re in VT. As a vegetarian, I still love Worthy Burger but there are more options at Worthy Kitchen. They get insanely crowded but soooooooo good. We just did a move and agree, packing tape is essential! Great to see that you’re still spending really frugally despite the move and need to purchase some stuff for the new place. Also good to see you ate out… it makes me feel slightly better about our habit that we just haven’t been able to kick yet! Just started following. Cool blog. I liked some of your ideas so far. Good luck with this new adventure in life. 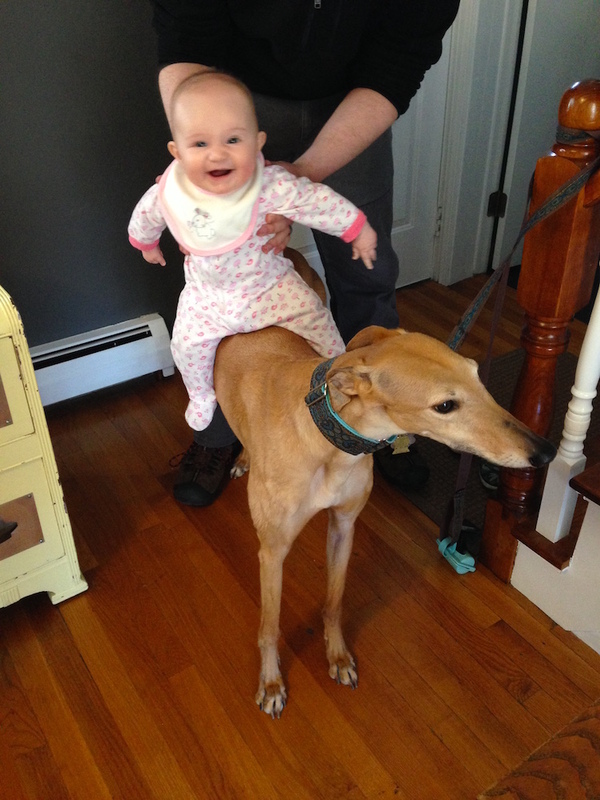 I am a few steps ahead of you with a 2.5 year old and a 6 month old. Fun, fun times for sure! How exciting that you’re weeks away from moving! Congratulations! ???? Love this blog! I think that it was wonderful that you had a meal out at Worthy Burger–sounds wonderful! And as you say, if you dine out infrequently, it is such an enjoyable experience. I have been cooking at home almost exclusively since finding your blog in early March when I was home from work with food poisoning and was trying to distract myself. I am so grateful for getting sick and finding your blog! And I have been “eating all the food” and my husband has been so impressed with the variety–who knew we had Israeli couscous in the cupboard! Good luck with packing–I hear you on the how many words rhyme with “pack–” I used to do the same thing when my son was little. Now he is a freshman in college and we are going to get most of his stuff this weekend from his dorm as he is going on a trip with some friends right after finals—so I will take some packing tape with me in case I need it! Congrats on “eating all the food”! It’s such a great way to work through the backlog of pantry and freezer! And, best of luck with bringing your son (and his stuff) home! I used TaxAct as well for my taxes. I personally prefer TurboTax since it’s a little bit more trendy & modern, but couldn’t justify the extra $40 because of the state return. Love your comment about Babywoods being so inexpensive. I always felt the same when my daughter was little but wondered if I was missing something because everyone kept talking about how expensive they were. I love the pic of her in a box, she looks so happy. I’m sure you are looking forward to settling in more and returning to a bit of normalcy! I’ve never heard of Worthy Burger before but someday when I make it up to the NE I’ll have to find one. Thanks for the April Update! Mine wasn’t too bad, all things considered. I got a rather hefty tax refund back (whoops) but that very neatly covered all my extra travel expenses. I have a lot of trips to take this year, and purchased the flights for a few of them this month. How could I say no to a $467 roundtrip ticket from Chicago to London!? I have found that if I have not gone out to eat for about a month, I don’t think about going and I don’t miss it. If I go out though, I crave going out for an entire month after. I think I’m going to have to follow your model about just deciding not to eat out vs moderation because apparently I am not good at moderation. 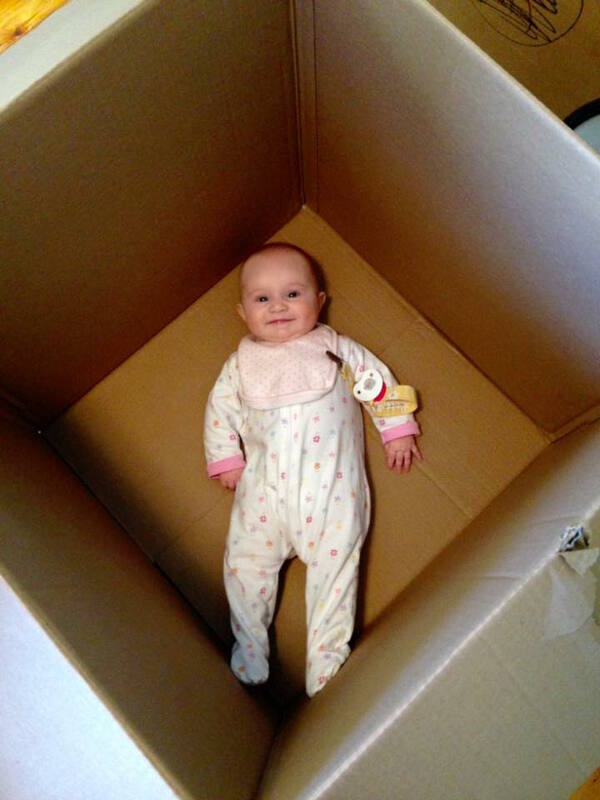 Adorable “baby in a box”. I really enjoy following your blog. Congratulations on getting the house of your dreams and moving on to the next phase of your lives. Even tho I am waaaaaaay older than you, I do get so much from your posts. Makes me wish, at your age, I could have been more focused. I admire your simple lifestyle and your commitment to it. All the very best in your move and I will definitely be following you from here on out. Babywoods in a sourced box. Priceless photo! Nice to see you enjoying a meal out. You can afford it. 🙂 We spent more than normal in the dining out category last month as well, mostly because of a pay your own way wedding reception. Interesting concept and works for me since the bride and groom won’t start their betrothal in tons of debt. Congrats on the new homestead! What an exciting adventure! Every time I see your monthly expense reports I wonder how you’re able to pay $60/month for Internet—I live nearby, and can’t seem to find Internet for less than $100/month. Any chance you’d be up for doing a post on this some time? Thanks! So, we don’t have any tricks for the internet–that’s just what Comcast charges. We don’t even have any options for internet providers here in Cambridge–Comcast is the only game in town. We don’t have cable or a landline, just internet. If you have Comcast and you’re paying more, probably worth calling and asking for our rate. Never hurts to try! Do you mind if I ask what your internet speed is? I assume it must be decent if you stream movies. We also have Comcast about an hour north of you in NH, and while we have the option of Fairpoint for internet we’ve heard terrible things. We are paying $85 for 25mbs (my fiance said that includes a monthly rental fee for the cable modem–we are considering purchasing our own to save $5-10 a month). It is worth buying your own modem. A decent modem (depending on what type of internet user your are) costs between $60-120. If you want a really swanky one, you’ll pay just shy of $200. If you rent a modem (Comcast charges $10/month in MSP MN area), you’re spending $120 a year – you could buy a pretty nice modem for that price. If you end up going with a different carrier at some point (if you even have a choice, depending on where you live) you can bring your modem with you. Most companies charge rent for modems, and the ones they provide aren’t usually *that* great. FWIW, we would have been charged $65 (+tax) for internet service with a modem – including taxes it would’ve been like $85. Since we have our own modem we pay $55/month – totaling around $65 when taxes and whatnot are applied. Looking forward to hearing more about your homestead expenses (even used tractors aren’t cheap!). We live on a couple acres and it is definitely calls for more equipment and supplies to maintain than living in town. And one thing I don’t think I’ve seen addressed is now that you’re not with your previous employer, what are you doing for a cell phone (if anything)? I can’t believe after all this time you’re finally packing up to move to your homestead! I am beyond excited for you! I do have a question… I’ve been tinkering with the PersonalCapital account and I can’t seem to figure out how to categorise expenses. Is there a training video somewhere that I’m missing? Agreed on keeping eating out as a rare treat! We recently had a date day sans children, and totally savored our meal out at a cool, unique restaurant. Love your pics and love following your journey to the woods! 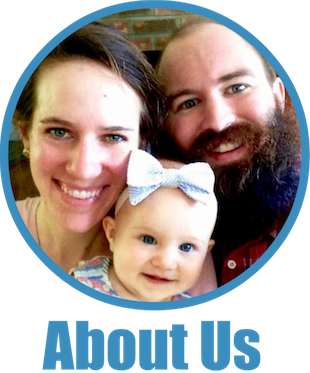 April was our first month outside of a mortgage and it was so wonderful to see the money just sit in our account for weeks and weeks. We ended up saving 2 months worth of living expenses and will likely to continue to do so, each month, until the big variable (my husband’s job) changes (which it might!). One little trick I use with our rentals to keep small maintiance at bay: I give them a $50 gift card to Lowes. I provide a list of things they can use it for. Weed spray, caulk, spider spray, landscapng supplies, heater filters ect. They go pick out what they need and mail me the reciept- which I can deduct as expnses. Good luck with becoming a landlord! We really enjoy it. I like the first photo. I’m sure you’ve s opted and purged but it’s good to know you’re keeping the important “stuff”! Does Babywoods always laugh & smile? What a charm-er! I’m surprised you pay to have tires and oil changed, i’d bet you – or Mr. F. – start doing that after your settled in with the new barn & shop. Thank you so much, and huge congratulations on your beautiful daughter and beautiful homestead! I feel like there are a million and ten random expenses that come up when moving no matter how frugal you are. When is the official move in date? Also, I was wondering: when you calculate your savings rate, do you count your entire mortgage payment as expenses or just the interest portion? We count our entire mortgage as an expense–it doesn’t factor into our savings rate at all. Biggest shock of your April was that you actually ate out! Good for you. Once in awhile it is a great thing to do. It is a real luxury for me, too, so this was a real voyeuristic high for me just to see you sitting in a booth! One thing I worried about was that you said you were pruning your fruit trees…I’m sure you must have researched this – but some don’t get pruned till fall depending on what you have – or if they are a real hazard and you don’t care if you have fruit this year, or not. You’ll still have maple syrup in the thaw next year. So happy for all four of you! I always love the monthly expense reports! I’ve been doing lots of evidence-based research (peer reviewed studies only!) in preparation for getting pregnant (perhaps later this year?) and finding ample evidence that it’s okay to drink occasionally during pregnancy, and even more okay to drink while breastfeed (no need to pump and dump). I think women get scared into feeling that they are bad moms if they take even the smallest risks with their child’s health. To these studies, many would say “well, better safe than sorry” and I’m glad and kind of surprised to see that you’re partaking of the wine these days. Do you care to comment on how you made the decision that it’s okay? (I understand if you don’t. It’ll probably open you up to criticism which I don’t mean to cause, as I am Team Mrs Frugalwoods here) I don’t actually drink that much and would be fine to lay off for a year or so while pregnant/breastfeeding, but I also like lifting weights and other activities that outdated medical advice says to avoid. How do you search through the fearmongering garbage and come to make the best decisions for your family’s health? Yes, it’s definitely OK to drink in moderation while breastfeeding–at least that is what my OB, Babywoods’ pediatrician, and every lactation consultant I’ve spoken with tells me. I ignore the fear-mongering and the mommy wars and just do what science and my doctors say is OK. 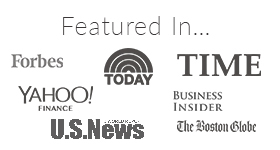 There are a lot of great resources out there and I tend to trust the professionals in the field. I didn’t drink while pregnant out of an abundance of caution, but everyone has to figure out what works best for them. It took us so dang long to get pregnant that I was thrilled to “have” to give up wine :). And, for what it’s worth, I continued my strenuous yoga practice up until the day before Babywoods was born–made me happier and healthier for sure! Be sure to check the prices of Costco light bulbs against your local Vt hardware store. Vermont has an efficiency program that partially offsets the cost of LEDs. I’m in the process of converting our entire house. The Ace reward program sends coupons occasionally as well. I stocked up a couple months back when they ran a sale and will grab more at the regular price this month with the $5 off $20 email coupon. 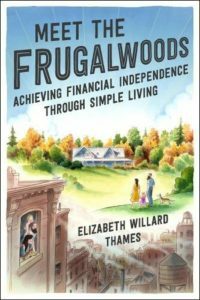 Great April FrugalWoods! It looks a lot like mine (well OK, I talk about dividend income every month too). One question: How will you taxation change once you move to Vermont? I’ve heard Vermont has big taxes. Will you have to pay state taxes in both places (due to the rental)? Despite how many times I’ve been there, I can probably count the number of times I’ve eaten out in Vermont on one hand. We are usually camping and cooking over a fire. Fireworks in Brattleboro though, that’s a must. We had a great April and are poised to have a great May. We saved enough over our normal amounts that we basically paid off my wife’s student loans, and we will pay off most of mine in May. Final student loans payments, just in time for the summer! That is an amazing price for your oil change and snow tire swap! My oil change is $28 with a coupon at my local mechanic, and mounting and changing tires is around $75-100. Unless your tires are already mounted? I stick with my mechanic though–they always tell me what is worth fixing and give me good deals and advice. Agreed! My tire changeovers are always around $60. So excited for your move! We moved to our retirement dream home (only 2 acres) two years ago and I’m having a blast this spring as I feel like the garden is finally really getting going. I really enjoy learning from and being inspired by you! As a mom of two teenagers, an eight year old and a Golden Retriever, however, I do find myself wishing that one of the frugal weirdos in Blogville had a more relatable set of circumstances. Those babies are cheap, but, boy, does that change, even for a frugal weirdo like me! I agree. As much as I love your blog, Mrs. FW, (and I do!) I do find that most of the frugality blogs out there have family circumstances that are quite different from mine. Autism On A Budget isn’t, apparently, a real blog but I wish it were! Lol!!! Mr. Money Mustache is especially hard to read because so much of what he posits as necessary and so achievable is just not realistic for us. It is discouraging and frustrating rather than inspiring. I don’t feel discouraged here but having three boys, 13, 10 and 7 and a small business and a son with special needs means we had to figure out what wise saving and spending looked like when we have so many unusual needs. Typically there isn’t anyone we can look to for specific advice so we had to apply the basic concepts of being frugal to some rather extraordinary circumstances. Nonetheless it is fun to come here and see how the Frugalwoods family is achieving their goals with positivity, humor and humility. That IS inspiring. will you have a Costco nearby when you move? Yummy burgers and fries sounds like an excellent splurge! I haven’t heard of Worthy Burger, but it feels like a new “gourmet” burger place opens up every month in my area. I had a great earnings month in April, including $429 earned at a children’s consignment sale! One of my goals for 2016 is to pay off our remaining car loan, and I was finally able to make an extra payment – woo hoo! We had a spectacular April in terms of savings (close to 70%) and quite honestly I don’t know how we did it! May will not be as awesome as April but we will at least save 50% of our income. I’m absolutely addicted to saving and seeing our bottom line increase significantly every month. I can’t wait to read about your homestead in Vermont. Baby in a box! Awesome! I confess we have relied on drop-on daycare to smooth past moves–our kids were older and could not be relied on to stay where placed, as they would when they were babies. We spent a lot in April because I goofed up our withholdings and we owed $1500, state and federal combined. We were technically in the red for the month–but on the other hand, I had budgeted so well for this expense that we still met our modest savings goals! Next month won’t be great either–I just received a bill for, I kid you not, $600 to stitch up after Big Brother’s head vs. gate incident. That’s $200 per stitch! I used an online cost comparison tool and apparently this is not outlandish. Yikes. See, that’s where kids cost you! 🙂 I saved money by, on the advice of the PA who stitched him, removing the stitches myself. I used thread snips and tweezers. Enjoy settling in to your new house! I love these little monthly updates! Gives me a lot of motivation to reduce our spending. Your Vermont place looks amazing and I can’t wait to hear more about it…my children would be so jealous to have all that land! All of your babywoods-infused musing keeps taking me back to when Little Miss TJL was a baby! I loved the Ergo. In fact, I loved it so much, I still have it for some strange reason (Little Miss is 6!). As for the moving, we moved three times to three different states before LM was 3! Packing songs, I know it well! Congrats on your homestead, it looks beautiful. She is just too cute! Hubby and I have attended the NY Renn Faire (now we go to the GA one) for many years. I wore my daughter her first year at about 3 mos old. I enjoyed the funnel cake and I have photos of her beautiful black hair covered in powdered sugar!!???? Love the photos! Babywoods in the box, priceless! Blowing the budget on packing tape not so bad when you’re moving to your dream home. Good luck with the move. Just started tracking expenses this month (scary) …. have not looked at any budgets for each expense yet will do that after a couple of months. It makes me think about every cent!! Target is paying cash for all hotels on Tokyo Christmas trip ! I keep hovering around the same (negative) number, but I am making a number of important changes that will hopefully see me closer to zero soon. Thanks for continuing to write inspiring posts. Hi. New reader. Quick question. I don’t see any utilities or auto insurance here. Just wondering why? By the way, we in NJ had a chuckle that you said your mortgage/homeowner/taxes are high. Trust me, MA unfortunately has nothing on NJ. Hi! I have a question. I signed up for Personal Capital after reading about it on your blog. It is great. I do, however, keep getting calls and emails from a Personal Capital Financial Advisor wanting to go over my portfolio and offer advice. Have you used their “financial advisors” and if so, are they free too? Would you recommend using them? Since you’re starting a new business (aka, rental housing), you qualify for some start-up cost deductions. Keep track of all of the expenses you’re paying out on your Cambridge house preparing it for rent (like those smoke detectors) and they’ll be deductible up to $5,000 provided you don’t have more than $50,000 of startup costs. The NOLO guide to rental tax deductions is golden!! I just love Estelle’s beautiful smile. What a happy baby! And congrats on the move and keeping expenses low. I’m impressed by the small amount you have spent on home improvement! Way to go. What an intelligent decision 🙂 Congratulations! The disappearing hound…. I guess you have a new, shinier subject for the next 21 years or so…. Theresa is very practical and she’s very much a purist when it comes to sourcing her seeds (no Monsanto) to getting rid of bad insects. A very worthy read. Just started following you. We too like to live as simply as possible, but we haven’t been able to cut our costs down as admirably as you have! We pay for day care, so that’s a huge chunk, but I compared your expenses to ours to see where we could do better. I notice that you don’t have cell phone charges or insurance (car, life, etc.) listed. Do you incur those charges? Saw the article this morning on boston.com and have spent a lot of time this afternoon reading through some of your postings. I love them all. I will definitely be following your adventures in VT. My siblings and I inherited a home in southern VT a few years ago which I would love to live in full-time, but, since my family and I live in the Netherlands that won’t be happening any time soon. I am basically retired (my unemployment runs out in Aug and at age 62 I can’t even get an interview). The DH is 3 years younger and would love to retire early. Mortgage is paid off and kids’ university tuition is very small ($2500/yr per child…thanks to us paying 42% income taxes for the past 30 years…socialist govt can work to your advantage)! I am going to see how much we can sock away in the next few months using your methods. Maybe that early retiremnt isn’t so far off. Good luck with your move. VT is the most special place in the world! Good job on keeping your expenses low. I have been following your blog and it’s very inspiring. Your turbo tax software is $59.98 seems to be too high considering that you do not have complicated tax situations. (If you do have complicated tax situations that I’m not aware of after reading your blog, then it would not be just $59.98. This is how I can conclude that you do not have complicated tax situations). It can file up to 5 times. Good luck with taxes next year and keep up the frugalness. Do you guys have health insurance? I’m curious to see it as a separate category from mortgage and what-not, maybe even with the doctor’s visits. It’s just surprising if you guys both had doctor’s visits, you’re both uninsured, and the cost was only $65. Nice April income report. Having Babywoods, how does it affect your monthly saving and expenses? How do you still maintain a good balance among all those additional and current expenses? I am just amazed by your determination and budgetting skills Frugalwoods. This April 2016 expenditure is really good! May I just ask how you have been able not to buy clothes for more than 2 years? Hi, I’m a fairly new reader from across the pond in the UK. I’m curious to see how spending differs. Do you not have to pay for water and sewerage, home- buildings and contents insurance, car tax and insurance and something akin to the council tax we have here (is that what state taxes are)? We are extremely frugal, but here in the UK I can’t see anyone retiring early anymore (even at 50 which would be considered young to retire here). Our basic expenses eat up most of our monthly income because they are fixed. You can’t get away without taxing and insuring your vehicle for example. On top of that it must have a yearly MOT by law. To have internet at home, you must also rent a landline. You have to pay for your water and sewerage. Sure, you could choose not to insure your home contents, but that would be foolish and if you have a mortgage, then you must have home buildings insurance by law also. It basically costs £1000 a month just to live and eat here (that’s approx $1500 a month).